Che Guevara was executed in the jungles of Bolivia on October 9, 1967. Forty five years later he is venerated in Cuba. He has attained something akin to “rock star” status. His face is on Cuban money, t-shirts, banners, and tourist art. 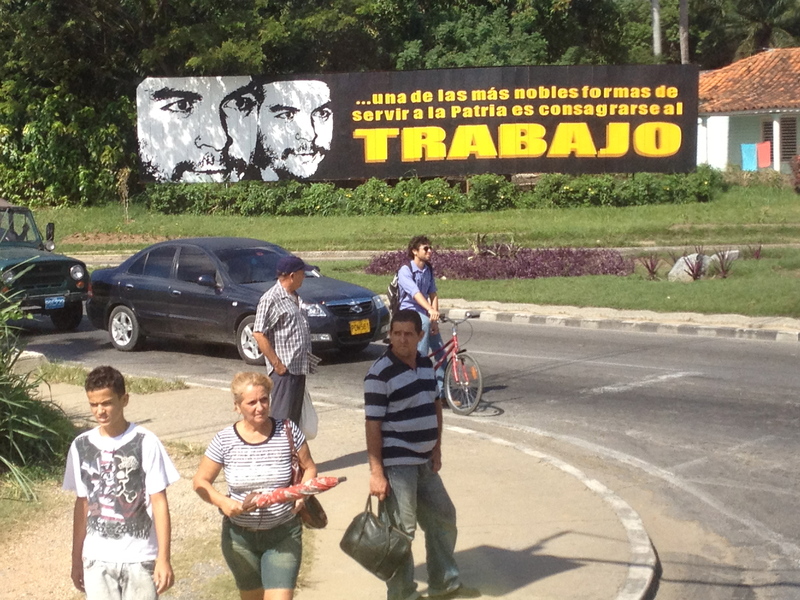 Billboards with his image encourage the Cuban people to work hard and support the revolution. 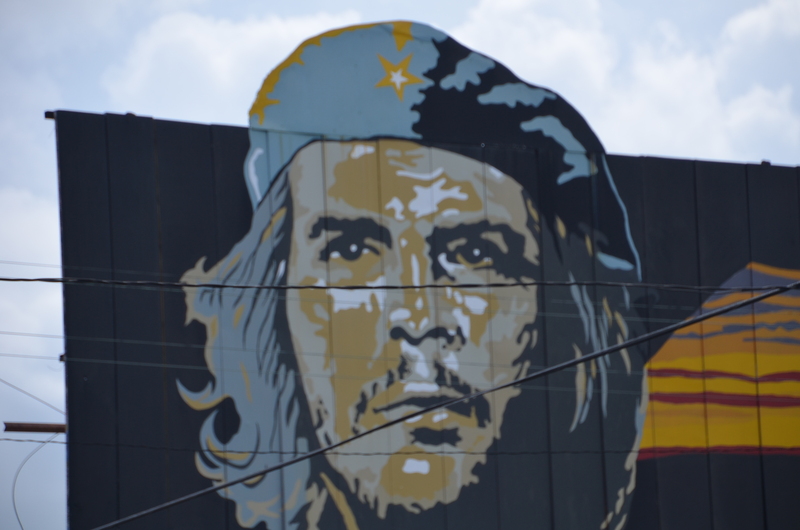 Even in the U.S., celebrities wear Che’s signature beret. He is featured in a movie, The Motorcycle Diaries,whose executive producer, Robert Redford, has depicted Che’s 1952 journey across South America; a journey generally credited with planting the seeds for his future radicalization. Born Ernesto “Che” Guevara, on May 14, 1928, he was educated as a physician and was already active in social reform when he met Raul and Fidel Castro. He quickly became Fidel’s 2nd in command and played a key role in the success of the Cuba Revolution against Batista. He is credited with his work on Cuba’s literacy campaign and its agrarian land reform. He was a bank president and diplomat for Castro’s government. He represented Cuba throughout the international community, speaking on behalf of socialism and against the exploitation of the Southern Hemisphere by Western countries. Ultimately, he became critical of the Soviet Union, also condemning it for exploiting Cuba. Celebrated by many as an idealist, he was a lifelong, and very charismatic, revolutionary. While revered by many for his struggle to liberate the poor, focused primarily in Africa and South and Central America, he is reviled as a guerilla leader ruthless in his discipline of his troops and brutal as the revolution’s chief executioner, instrumental in the war trials and summary executions of Castro’s adversaries. The nature of his relationship with the Castros at the time of his death is unclear. On October 3, 1965, two years before Che’s death, Castro made public a letter from Che resigning his positions with the Cuban government, and giving up his Cuban citizenship. Whether his actions result from disagreements with Castro or merely a belief that he should be engaged in a wider campaign of “social justice” is unclear. He returned to Cuba only briefly after authoring that letter. His death changed a questionable relationship to martyrdom. 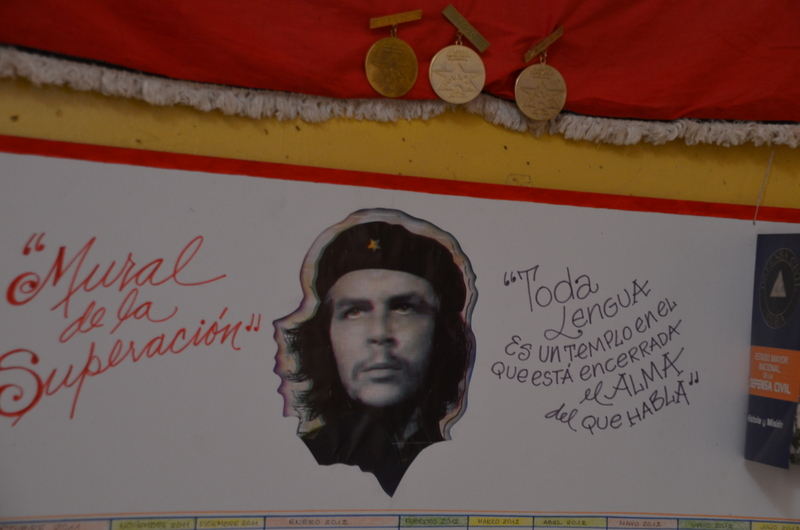 Che and twenty-nine comrades who fought with him in Bolivia are buried in the Che Guevara Mausoleum. It is located outside Villa Clara, Cuba, near one of his most significant military campaigns. It is treated as a shrine, almost a place of worship. Cameras are forbidden inside the Mausoleum, hats were required to be removed. Nelson Mandela described Che as “an inspiration for every human being of our era who loves Freedom”. Jean Paul Sartre described him as “the most complete human being of our age.” Surely, Cuban exiles living in the U.S., whose family members were executed by Che’s firing squads, find no humanity in his deeds. Such totally different images of a human being long dead seem incapable of reconciliation. For purposes of this post, I will not try. Instead, the question may be whether those who exalt him as a hero are influenced to do good or ill. And, from an entirely different perspective, whether his veneration impacts the nature of the short-term–and mid-term–relationships between the United States and Cuba. Robert Redford is photographed with Fidel Castro on the wall of the National Hotel, one of the few luxury hotels in Habana, presumably taken during a brief encounter between the two men during Redford’s trip to Cuba for a private screening of The Motorcycle Diaries for Che’s widow and children. The opinions of this post do not reflect the views of our employers, our families or–necessarily–each other. This entry was posted in Social and Economic Issues, Travel & Adventure and tagged Che, Cuba, Cuban History, Ernesto Guevara, Executioner, Guerilla, Jean Paul Sartre, Nelson Mandela, Photography, Revolution, Robert Redford, Villa Clara. Bookmark the permalink. Upon the release of the Motorcycle Diaries film the nurse of Che was poisoned by an accomplice to the murder of Sharon Tate. The Real Daughter was assaulted by this person also, and poisoned and extreme abuse proceeded towards the real daughter and the nurse of Che, the one referred to when Jon Lee Anderson writes cursely, “Che owned his f-k with the nurse”. Mr. Robert Redford is literally responsible for not protecting the people who needed to be protected and honored as family in the United States of America. The nurse and real daughter were not contacted to be protected and the World War II Army Nurse Operating room nurse was murdered brutally though tortured slowly while Mr. Robert Redford feels his slight “discomfort” in what he calls a “hornet’s nest” while the World War II operating nurse was tortured with poison, groin bruised, robbed of her cats her donkeys, her house her land and her dignity along with the real daughter right here in the United States of America. Assasin teams were sent to the home of the nurse as soon as the release of the film and the daughter was stalked by the car that is known as the Jenner 04 double-homicide murder scene car. Mr. Redford has taught the greatest ignorance of all time, where a film is used to destroy loyal ministers of the United States and Argentina and Cuba. Redford states, “we had to….show it to the family…to get approval…” His ignorance toward the reality of the work of Che has caused the torture and murder of the nurse and the almost to death assault of the real daughter and robbery and hardship that continues and Redford (robert) collects money on the film. A mythical character created by Redford is so appalling in the vivid truth of the loss of life that he has snuffed out through ignorance. The real daughter was shot at over the last weekend, and Mr. Redford has still continued to collect money and shed his ignorance all over the world. The nurse and daughter waited their whole life to be safe enough in the United States of America to reunite with the people they love in Cuba and Redford decided to invent a mythical character to kill the nurse instead. Dreams of my lifetime destroyed overnight and continual hardship because of your mythical character need, Mr. Robert Redford.